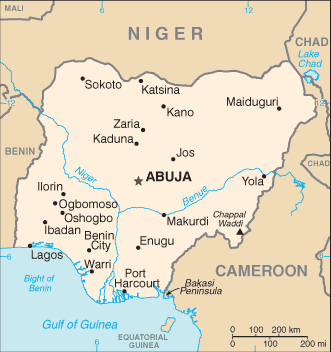 In an update on the Nigeria meningitis outbreak that began in mid-December 2016, the Nigeria Centre for Disease Control (NCDC) reported 14,005 suspected cases from 24 states through May 2017. The death toll has risen 1,114. The NDCC reports five weeks of persistent decline in new cases, from a peak of 2,500 per week to about 250 per week. Neisseria meningitidis serogroup C remains the predominant (73%) cause of meningitis amongst those who tested positive. The World Health Organization (WHO), a meningitis vaccination campaign was conducted in Sokoto state in the week ending 30 April 2017 using 820,000 doses of conjugate C vaccine, achieving 97% coverage. A second round of reactive meningitis campaign will be conducted in Zamfara state from 22 – 26 May 2017. In Yobe state, reactive vaccination campaign is being planned for 19 – 23 May 2017 using trivalent meningitis ACW vaccine. To strengthen case management efforts in the affected states, WHO deployed 50 health workers in 10 teams to Sokoto and Zamfara states. Case management protocols have been printed and distributed to health facilities in the 6 six most affected states. In addition, 20,000 doses of ceftriaxone was mobilized and distributed to the affected states.